The Philippines, 2016 - ongoing – World Wide Hearing is partnering with IDEA and CBM International to expand ongoing screening campaigns in the province of Bohol using mobile diagnostic technologies. Our goal is to screen 35,000 people over two years and fit 1,000 hearing aids. With World Wide Hearing’s support, its partners will train 240 people to identify ear disorders through otoscopy as part of the Easy Access to Rehabilitation Services (EARS) Capacity Building Program. Peru, 2016 - ongoing – In 2017, we established our own hearing clinic in Lima to serve as a permanent base of operations and resource centre for hearing care in the country. World Wide Hearing has already screened over 10,000 children for hearing loss and trained 50 people, primarily women, to become community hearing aid technicians. Indigenous Communities, Canada, 2016 - ongoing – World Wide Hearing will train and equip local health workers in remote Aboriginal communities in the Canadian Arctic to screen for hearing loss and provide hearing aid maintenance services. 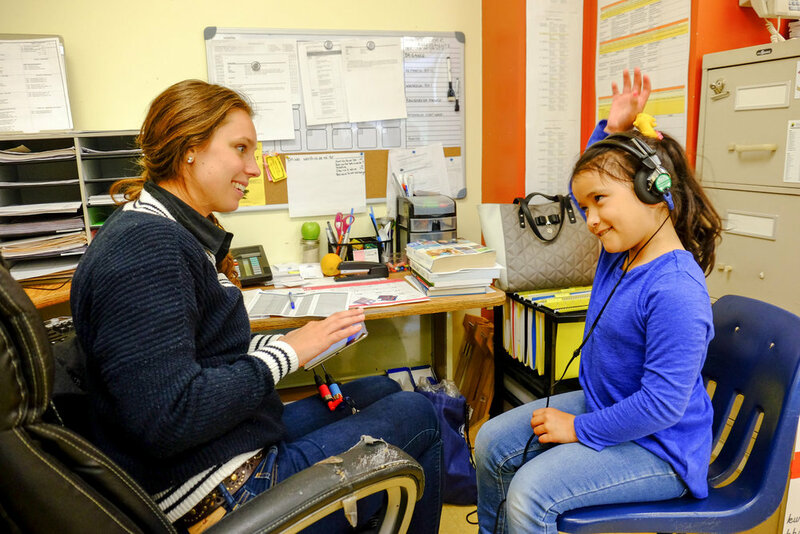 Inuit children have some of the highest levels of hearing loss in the world, and yet there are very few audiology and ear care services available in Northern Canada. The success of Inuit education and employment initiatives in Nunavut, which are key to the development of its communities, depends on first addressing the widespread problem of hearing loss. Vietnam, 2016 – In 2016, World Wide Hearing organized a pilot project to screen kindergarten children for hearing loss on the outskirts of Ho Chi Minh City in collaboration with the Global Foundation for Children with Hearing Loss. This pilot tested the effectiveness of our hearing loss detection techniques in challenging conditions (testing children under five years of age in very noisy environments) and provided valuable insight for updating our diagnostic toolkit. Project funds were also deployed to train over 70 audio-technicians, therapists, and teachers on audiology and auditory-verbal teaching/therapy concepts. Guatemala, 2015 - ongoing – Since 2015, World Wide Hearing has organized hearing loss screenings every year in rural schools and clinics in Guatemala City, Cobán, Mazatenango, and Quetzaltenango. We also distribute low-cost hearing aids to people and families that cannot afford audiology services. In Guatemala City, we carried out the world’s first research study to measure the impact of providing hearing aids on poverty, mental health, and quality of life in a developing country. Jordan, 2012-2014 – The pilot launch of Hearing Express took place in Jordan in collaboration with the Holy Land Institute for the Deaf. It was the first of its kind to deliver affordable hearing aids using an entrepreneurial distribution model. This project provided invaluable proof-of-concept of our capacity to reduce hearing aid fittings to under an hour, to provide hearing aids at an affordable price, and to train local women to become community hearing aid technicians (CHATs).